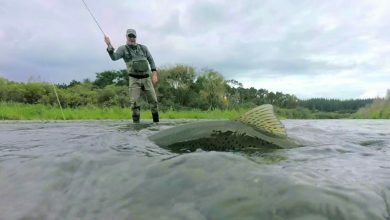 An 8 part series in which each episode follows a different pair of anglers as they explore one of the incredible fly fishing opportunities that New Zealand has to offer, from the trout fishing Meccas of the backcountry to the newly discovered saltwater fisheries. 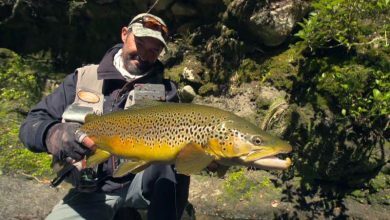 Andrew Harding and Matt Hince team up to visit a huge man-made lake - one of New Zealand's most famous trophy trout waters - in the country's North Island: Lake Otamangakau. The shallow waters give rise to lush weedbeds, which in turn are home to huge numbers of damsel flies and damsel fly nymphs: food for hungry browns and rainbows. Can the boys capture a Big O trophy fish? 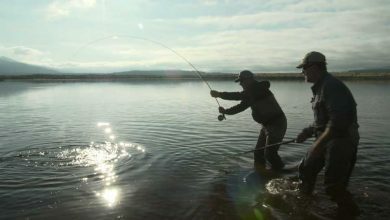 New Zealand's Southland's four major rivers are famous as brown trout fisheries, especially in the upper and middle sections, but in this episode Anto Hall and Mike Wilkinson are heading to the estuaries, to fish the annual smelt run. These baitfish return to the rivers in huge numbers to spawn, and the trout don't miss out on this feast. This makes for some explosive fishing action, displaying the fish's true predatory nature. 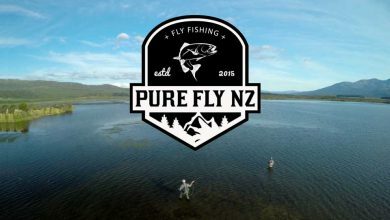 This episode of PureFly NZ sees a helicopter ride take anglers Cory Scott and Chris Charland deep into the the mountains to target New Zealand's famous trophy trout, but will an approaching weather-bomb cause them a headache. 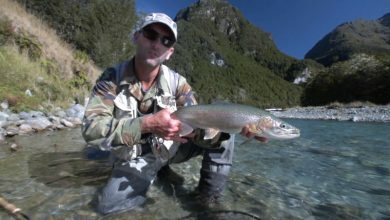 This is what fishing in New Zealand is all about - remote mountain locations, intimate streams, and sight-fishing for big trout... but it ain't easy. Lake Taupo was formed in the caldera caused by an enormous volcanic explosion. 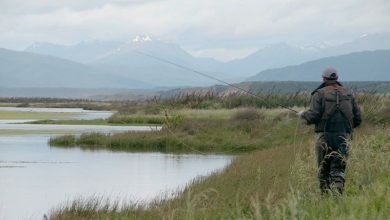 The Tauranga is one of the few tributaries that the lake's legendary rainbow trout use to spawn. Andrew Harding and Rene Vaz are here in October, outside of the traditional big spawning runs, but there's still great fishing to be had. 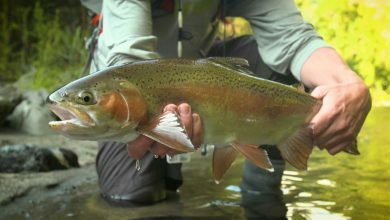 The South Island's Otago Lakes District is the location for remarkable autumn trout fishing brought about by the fish leaving the lakes and heading upstream to spawn. Irish angler Ronan Creane and American Jeff Foresee are best buddies, and fly fishing mad, and to say that they are competitive is an understatement. But what's a bit of competition between fishing pals, even if the competition does extend down to who makes the best sarnies? 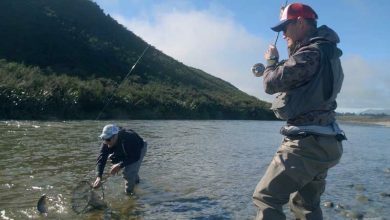 If you're looking for quintessential New Zealand fly fishing, look no further than the Kahurangi National Park. The rivers are crystal clear, remote, and stacked with trophy brown trout. Mike Kirkpatrick and Jack Kos are understandably excited to helicopter in to the park and get on the water. The conditions look good, but when it comes to wild brownies, nothing is guaranteed. Are there any two words more magical to the ears of a fly fisher than 'Opening Weekend'? In New Zealand's South Island, the red letter day is the last day in September. 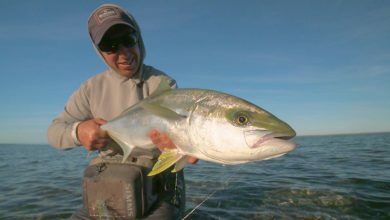 In this episode Mike Davis and Sam Yule, keen outdoorsmen both, are keen to be first on the water, and that means camping out. But the weather, and rude anglers, can sometimes put paid to the best laid plans.